I hate to start off a post on a such bad note, but I must. Good old Maryland. Oh yes. Where we get an earthquake and a hurricane in one tiny week. One of the best things about Maryland is we (are supposed to) avoid the crazy weather! That is why I would never want to move to California. Because, I'm a baby, and if I'm being honest, I'm terrified. The problem is, when us good ol' Marylanders get such crazy weather, we panic. We decide we need to buy 15 gallons of water, granola bars to last a month, and 80 cans of soup. I went to the grocery store yesterday morning, just to buy my usual groceries. Big mistake. BIG mistake. Has anyone ever told you craziness is contagious? "Oh, what's that? Everyone has 15 gallons of water in their carts? Is it the apocalypse?" "Maybe I need 10 gallons of water also. Maybe I need to buy a ton of sports drinks and everything possible". The winds are picking up right now. Everyone is panicked. I am going on vacation tomorrow. I just hope no trees come crashing through our house tonight. If we survive, I'm pretty sure we are eating at Cracker Barrel tomorrow morning, which is one of my favorite places to go. Yum, biscuits and corn bread. Also, if we make it to our lovely vacation, I'll be making some more of these delicious cupcakes with the creamiest, dreamiest, chocolate frosting in existence. Position a rack in the upper third of the oven and preheat oven to 350 degrees F. Line two cupcake pans with paper liners and set aside. In a small bowl, whisk together milk, vanilla extract and vanilla bean seeds. Set aside. In a stand mixer, fit with a paddle attachment, cream the butter and sugar until light and fluffy. This may take 3 to 5 minutes. Scrape down the sides of the bowl to make sure everything is well incorporated. Add the eggs, one at a time, beating for one minute after each addition. If the batter begins to looks a bit curdled, that’s alright. with the mixer on low speed, alternately add the flour mixture and the vanilla milk mixture in three batches, starting and ending with the flour. When the batter is almost combined, stop the mixer and finish mixing the batter with a spatula, making sure that any flour bits at the bottom of the bowl are well incorporated. Divide into the lined cupcake pan and bake for 25 minutes or until golden and a cake tester inserted in the center comes out clean. Allow to cool in the pan for 10 minutes before removing to cool completely before frosting. Cream together butter, cocoa powder and salt. Butter mixture will be very thick. Turn off the mixer, scrape down the sides of the bowl and add powdered sugar. Turn mixer on low and mix in powdered sugar while adding milk and vanilla extract. As the sugar incorporates, raise the speed of the mixer to beat the frosting. Beat until smooth. In a 1-cup measuring glass, stir together heavy cream and Ovaltine. Turn mixer speed to medium and pour cream mixture into frosting in a slow, steady stream, until you’ve reached your desired consistency. You may not need the full amount of Ovaltine and cream. Spread or pipe onto cupcakes. 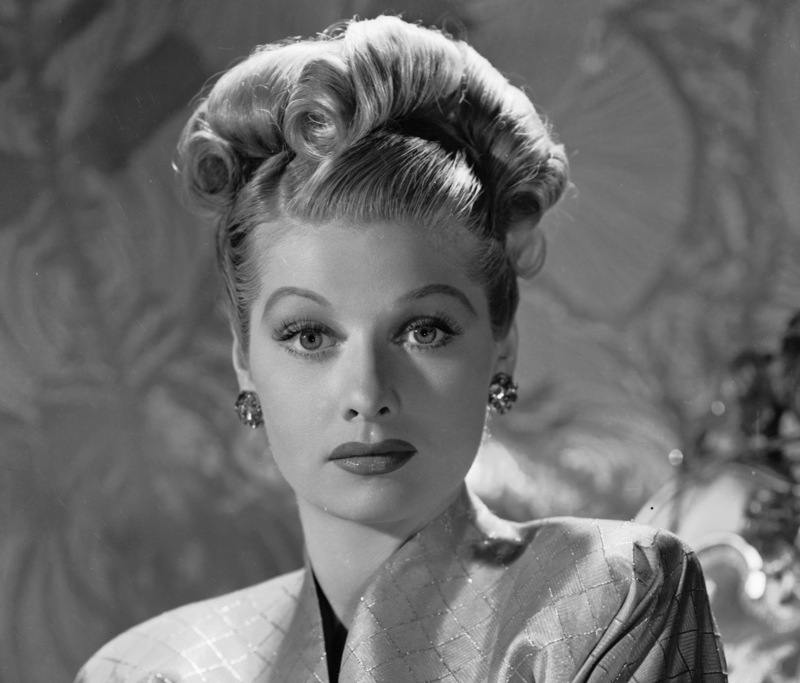 Today is Lucille Ball's 100th birthday. So sad that she's not around anymore. I grew up watching I Love Lucy every night. She was hysterical and I think...beautiful. Her goofy comedy and bubbly personality remain timeless. I think there is no one like her. I used to watch I Love Lucy until the wee hours of the morning. In 1929, Lucy landed work as a model (we can see why) and later began her performing career on Broadway using the stage name Dianne Belmont. 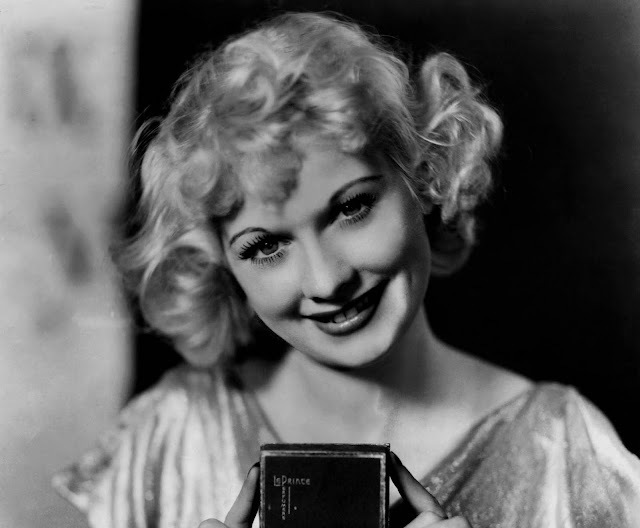 She appeared in many small movie roles in the 1930s. 1951 is when she helped create I love Lucy. The show ended in 1957 after 180 episodes. I've probably seen about 150 out of 180. Happy birthday Lucy! I love you! Blueberry muffins are really easy to make. They taste better than Dunkin' Donuts' muffins, and if you know me, you'll know I love their muffins. While making the butter-crumble topping, there are two ways of dealing with the butter. First, you can make it almost room temperature, so a fork can just go through it, but so it's not melted at all. When you mix in the cinnamon and brown sugar, it will be pretty thick. If you bake them with this topping, it won't spread out much in the oven. Second, you can make it a little more melted than room temperature. Not totally, just a little bit more. If you do it this way, you will mix in the cinnamon and brown sugar, and it will be a melted sugary topping. While baking, you'll want to put foil under the muffin pan to catch the melted butter. It will spread out and evenly cover the muffins. Both ways are good. Sorry if I'm confusing you. In my head, it makes sense. I'll give you a couple of pictures of what I mean. Below is the first topping option. Not too melted. More crumbly. Now, here is the more melted topping option. To Make Crumb Topping: Mix together 1/2 cup brown sugar, 1/3 cup flour, 1/4 cup butter, and 1 1/2 teaspoons cinnamon. Mix with fork, and sprinkle over muffins before baking. Place foil under pan in the oven.